Learn how Valant is transforming the electronic health record system. Valant was founded in 2005 to provide cloud-based software to streamline administration and improve patient outcomes for behavioral health practices, agencies and clinicians. Valant increased qualified lead generation YOY by 118% and sales demo requests by 200%. How? 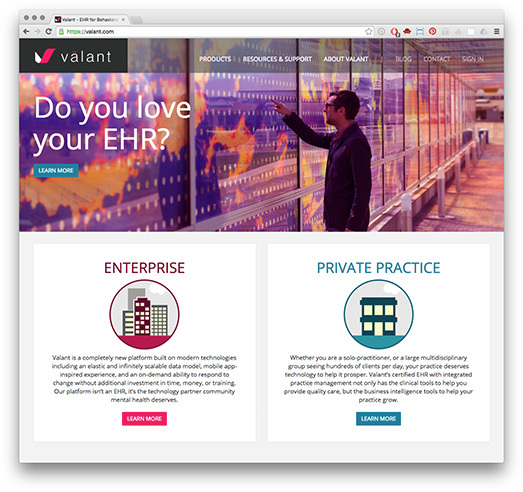 WEBSITE: Re-architected the site to emphasize Valant's new EHR platform offering. BRANDING: Created a fresh, dynamic brand system reflecting the company's new direction. 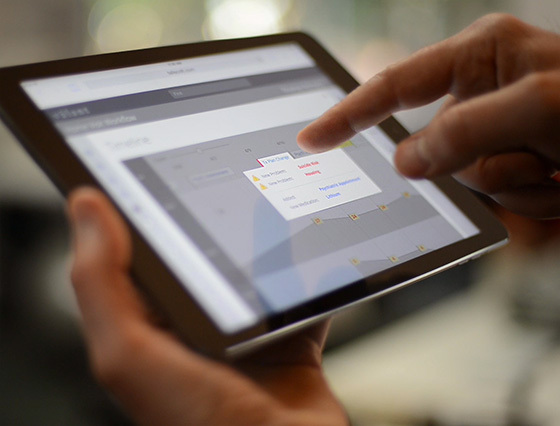 EXPLAINER VIDEO: Created a simple, compelling story for customers and partners. There’s a new value proposition for prototyping: Jumpstart the Sales and Marketing effort. Get it in front of customers early. We built a responsive prototype in HTML, CSS & jquery. SALES/MARKETING: Launched their Partner Program. Generated interest and excitement with customers. Turned customers into partners. USABILITY: Enabled stakeholders and customers to provide feedback to improve design. DEVELOPMENT: Provided reusable front-end code while communicating product design and behavior to the development team. What Kind of Product Transforms an Industry? A product designed to put the user first. Simplifying complex updates to state and federal requirements and allowing Clinicians more time to focus on their patients.